That’s because House Bill 5013 – while not flawless – offers sensible solutions to a problem that state policymakers have been battling for decades. For starters, it seeks to treat Michigan drivers with respect, offer them choices and end the paternalistic system that’s at the root of our exorbitant premiums. Specifically, the state now requires all drivers to carry unlimited health care – commonly called PIP or personal injury protection – on their auto insurance policies. In other words, Big Brother decides for us how much coverage our families need and what our household budgets can afford. This legislation, however, empowers Michigan motorists to choose how much PIP they need: $250,000, $500,000 or unlimited. Notably, drivers who select one of the non-unlimited options would be covered by their traditional health insurer – Blue Cross Blue Shield, Medicaid, Veteran’s Administration, etc. – once they exhaust their PIP. Those with comprehensive policies who elect the lowest level would see their premiums roll back an average of 20 percent, whereas those with basic plans – that is coverage for auto theft but not collision – would realize as much as a 50 percent cut in their rates. Moreover, Medicare recipients and retirees with health insurance – like teachers, firefighters, police officers and autoworkers – could opt out of PIP entirely, recognizing they paid into a health insurance fund their entire adult working lives but are currently blocked from accessing it if they’re injured in a car crash because of the unlimited PIP mandate. Thus, this bill could save them as much as $1,000 a year. All of the aforementioned reductions would be written in statute, buttressed by a provision requiring insurers, hereafter, to get approval from the state insurance commissioner for premium increases that exceed inflation – much like utilities must petition the Michigan Public Service Commission for hikes in their rates. A provision to rebate excess revenue in the Michigan Catastrophic Claims Association fund to drivers. Admittedly, the bill has shortcomings. I wish it was solely based on my driving record and not that of the community in which I reside. And I’m not in the least bit convinced that insurers don’t use factors like a consumer’s credit score, educational attainment, occupation and gender to discriminate – not discount, as they proclaim. That remains one of the foremost impediments to growing my beloved city’s population. Perfect? Nah, this bill is hardly that. But it does address many of the concerns that exist in our current system. It’s, therefore, a damn good place to start! 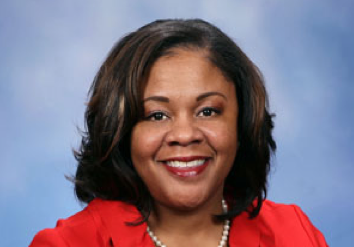 The Honorable Leslie Love is a Democrat representing Michigan’s 10th State House District, which covers a portion of northwest Detroit and Redford Township.